Get 100% up to $600! 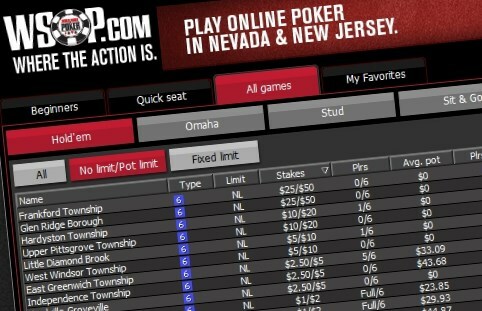 WSOP.com, so named for the World Series of Poker brand born out of the famous decades-old tournament series, is the most established online poker room in New Jersey (and frequent market leader). 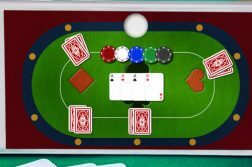 Their poker network, which pools players with 888 poker, is the first (and currently only) that makes use of the interstate compact which shares liquidity with Nevada and Delaware. This allows the site to have more and better table options and often bigger tournaments than their local competitors. While the liquidity boost the site has enjoyed since interstate traffic came into effect has put them for the moment ahead of the other New Jersey networks, overall traffic within the state hasn’t significantly improved. It has merely shifted normal activity to more greatly favor the WSOP/888 network. While this is still an improvement and has allowed WSOP to become a better poker experience, the site would still benefit from some general upgrades that are long overdue. For a more specific analysis of the recent changes at WSOP, check our hands-on post-liquidity share review article. What follows is our general take on the current overall WSOP experience. Create a WSOP NJ account using the links on this page and get a 100% deposit bonus, up to $600. Get 100% Up To $400 Now! To unlock your deposit bonus, you’ll need to earn Action Player Points by playing in real-money cash games and tournaments. As you play, and earn the necessary points, your bonus will be released in chunks to your account. A wide selection of Hold‘em tables are available at No Limit, Pot Limit and Fixed Limit structures, along with several Omaha and Omaha Hi-Lo games. Omaha tables start at $0.02/$0.04 and top out at $25/$50, or from $0.05/$0.10 to $30/$60 for Omaha Hi-Lo. Stud games exist in theory, from $0.02/$0.04 to $10/$20, if anyone ever played Stud online. The tournament schedule is dotted with a variety offerings. Daily freerolls are available in the afternoon and late evening. Pot-limit Omaha events appear on occasional evenings, and low buy-in No-Limit Hold’em tournaments are constantly available. The weekend schedule is particularly strong with a $40,000 Ultimate Warrior event and the $100,000 Sunday Tournament, both on Sunday afternoons. New Jersey’s poker environment has shifted in recent years to favor large tournament series, and WSOP is no exception. In November 2017, the site offered one of its biggest MTT series’ to date. The NJ Poker Classic guaranteed $500k across 38 events, and exceeded all expectations. 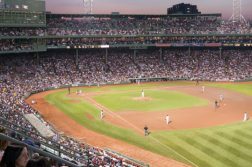 WSOP also frequently offers satellite tournaments to win seats at World Series of Poker real-world events. BLAST is WSOP’s take on the popular lottery-sng format. There are currently five buy-in levels, ranging from $0.10 to $30. The top prize pool is 10,000x a player’s buy-in. Games are Super Turbo, and after a short timer transform into an All-In Shootout. Prior to spring of 2018, top position in the New Jersey market was shifting back-and-forth between WSOP and high-profile competitor PokerStars NJ, with neither maintaining the lead position for very long. However, now thanks to the Interstate Liquidity compact WSOP has taken control of the lead by merging their liquidity with Nevada and Delaware. Between 300 and 400 players can regularly be found online during peak playing hours. This has also had an added effect in extending that peak period thanks to the time difference between New Jersey and Nevada. Overall this is a benefit, meaning there is a greater window of time in which to find a good cash table, but unfortunately it can also result in late starts to the better multi-table tournaments (and thus later nights for the players that prefer them). It should also be noted that the increase in liquidity and access to players in other states has also brought with it an influx of talent, so success at the table is harder for average players than it was before. The WSOP NJ rake structure is based on the number of players at the table and the size of the blinds. The full schedule with maximum rake per hand is available at www.wsop.com. Weekly SNG Leaderboards: Each month a schedule of four consecutive weekly periods is provided, during which points are awarded for every time you finish in the top 50% of a Sit & Go tournament. Weekly prize pools of $1,000 are divided among the top performers. 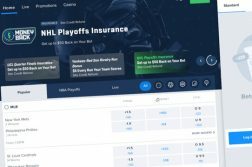 Reload bonuses: offering a deposit match with a time-sensitive promo code. In July of 2018: FIREWORK. Hero Freeroll: A very nice gesture which provides a $1,000 guaranteed free tournament entry to any player who can prove they are a firefighter, police, or in the military. Event runs on the third Sunday of each month. $100K Sunday Seats: Daily freerolls ate run to earn a spot in the big Sunday tournament. An invitation can also be won in other weekend tournaments with buy-ins from $30 to $75. Online Satellites: Special tournaments during World Series season to win a spot at a major WSOP event. The WSOP loyalty program has changed of late, and for the better. Players earn Action Player Points (APPs) automatically from participating in real-money hands: for every $1 collected in rake from your table, regardless of the winner, you will receive 2 APPs. This means points are earned even when you lose, as opposed to most poker rooms where rewards are only earned from your own rake. 2 APPs are also earned for every $1 you spend on tournament fees, or 1 APP for every $16 wagered on WSOP casino games. Once you hit the Bronze tier, you will earn WSOP Points for every APP (on a sliding scale based on tier level). You can convert WSOP Points into cash rewards at any time (minimum of 1000) at a rate of 100 points for $1. Player: Starting level, 0+ APPs, no point multiplier. Bronze: 200 APPs monthly, WSOP points x4. Silver: 750 APPs monthly, WSOP points x10. Elite: 1,500 APPs monthly, WSOP points x12.5. Champions Club: 20,000 APPs annually, WSOP points x16. The top level requirements, while still high, are are much easier to reach than WSOP NJ’s previous loyalty program. Also, new players moving to WSOP.com from another site can request a “Comparable Tier Match Request” to begin at a similar level to that earned at the other poker room. Additionally, for every APP earned in the Action Club you will also receive 1 Tier Credit for the Total Rewards program shared by other Caesars Entertainment properties, allowing you advance your Tier Score in that program. Total Rewards Reward Credits are, however, not included as they would be considered redundant alongside the WSOP Points, but advancement in the Total Rewards program is still a valuable bonus. Get 100% Up To $600 Now! The World Series of Poker is the brand most synonymously associated with poker worldwide. The Series was born in 1970, when casino mogul Benny Binion invited seven renowned players to the Horseshoe to compete. Participants played in a timed poker event, and later voted poker legend Johnny Moss the champion by secret ballot. Today the WSOP is a massive annual celebration of poker culture, with dozens of events over two summer months in Las Vegas, the crown jewel of which is the famous Main Event. In 2013 after New Jersey legalized online gambling WSOP NJ became licensed through its parent company, Caesars Entertainment. Caesars also partnered with 888 NJ, which provides the software that powers both sites casino and poker games, later merging the two poker networks for improved liquidity. In May of 2018 interstate pooling was approved, allowing WSOP NJ players to compete against those on WSOP NV, thus helping the WSOP/888 to gain market dominance over Pokerstars NJ and the Party/Borgata/playMGM network. 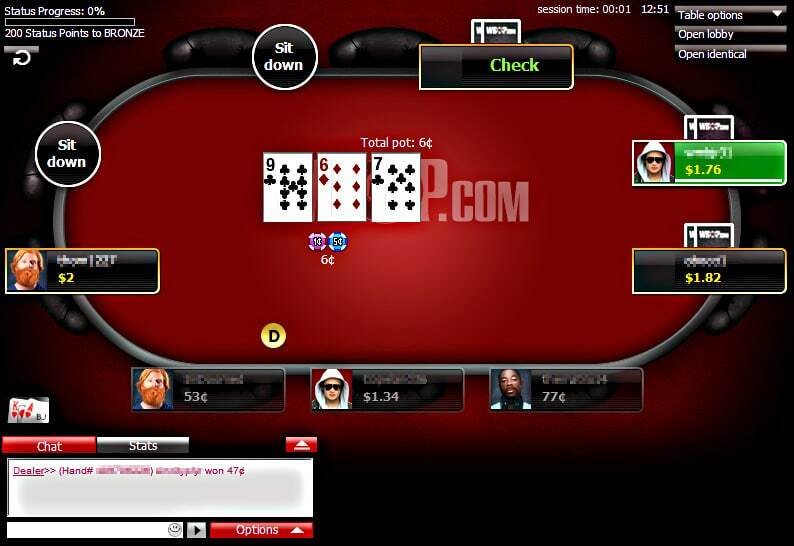 As opposed to most casino sites that now offer a web interface, WSOP’s poker room is still limited to either an installed desktop application for computer access or the mobile app for phone or tablet users. WSOP appears to have prioritized function over form, which is not unwise considering the recent increase in traffic, but the design and overall look of the lobby, tables, and UI are dated and very overdue for improvement. Player experience is stable and generally free of lag, so they get a passing grade on performance, but more recent rooms to join the market are functional while offering better visuals and more customization options. Still, the interface is at least adequate. The lobby offers filters to find and sort tables and tournaments. Wait lists are available for cash games, and details on recent Sit & Go jackpots are tracked. Tables can be customized by themes, and offer preferred seating and bet presets. 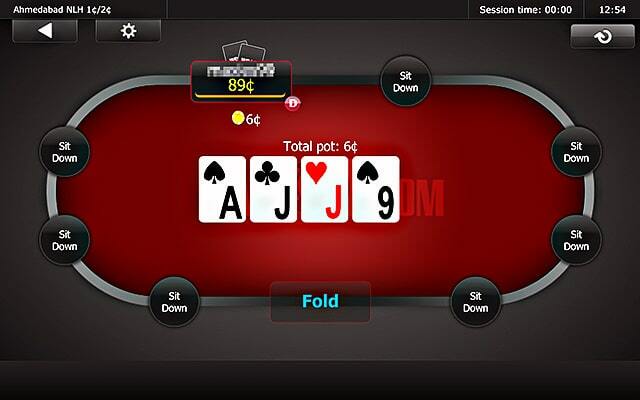 Games run smooth and multi-tabling is easy enough. The WSOP NJ mobile app has a more modern feel than the desktop software, with a somewhat updated and improved interface. The UI is intuitive and the spartan aesthetics feature sharp contrast on the buttons. Stability appears to be slightly less than on the desktop version with a small increase in disconnects, but generally if you are on a strong network then play won’t be interrupted often. Cash games, Sit & Gos, and Multi-table tournaments are all available via iOS or Android. Full cashier access is also present, although you are directed to a web browser to complete transactions. With a little patience and persistence, you’ll find email support to be your best bet. Additionally, the site features a decent FAQ which may already have answers to your questions. WSOP NJ has moved their online presence to their own forum, which garners very little traffic and is a major inconvenience to the heaps of players already gathered on the well-known poker forums. Not having any representatives available on these traditional sites is inexcusable in 2018. Best liquidity in the market. Cash games are plentiful, especially at the lower stakes. Good value tournaments and satellites at many buy-in levels. Loyalty program has been significantly improved. Forum support is almost nonexistent. Despite the increased traffic thanks to interstate liquidity, cash play in New Jersey has still not improved as much as hoped. All in all, WSOP NJ offers a strong poker experience thanks to improved traffic, revised loyalty program, and good tournaments. Unfortunately graphics and support still need a lot of work.